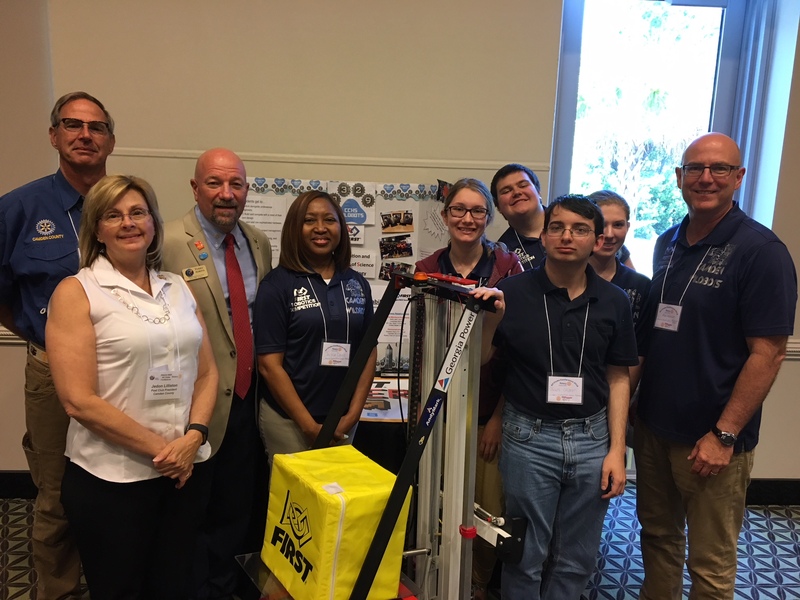 FIRST Robotics Team 3329 was invited to present at a Defense Industry Value and Excellence conference at the Kings Bay Submarine Base. Organized by The Camden County Joint Development Authority, the Camden Partnership, and the Camden County Chamber of Commerce, Georgia Department of Economic Development, Georgia Power, and Georgia Tech Centers of Innovation for Defense and Aerospace. We received a total of $70 in donations! 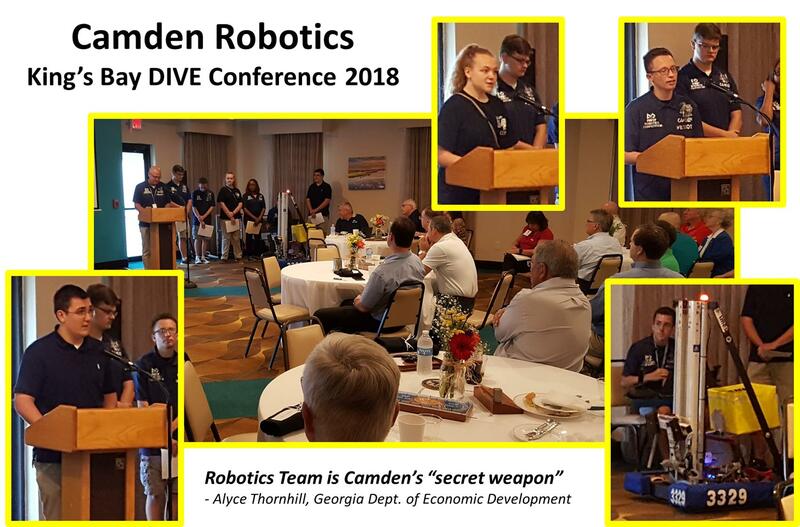 The WildBots were one of 15 FIRST competitors in Georgia that presented key aspects of the financial side of the robotics. We won the Entrepreneurship Award at the Albany competition for our business plan, gaining a $250 donation for their accomplishment. 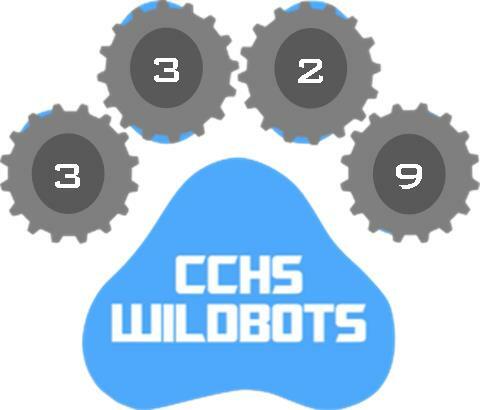 Go WildBots! 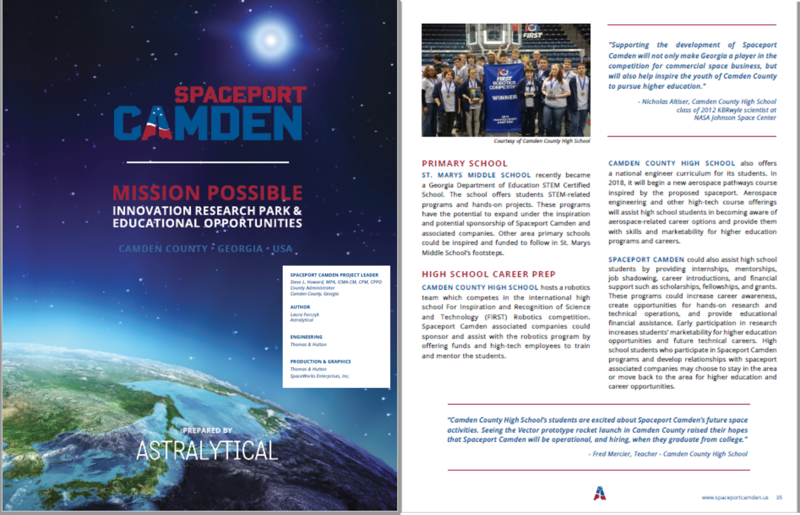 Camden County High School and FIRST Robotics Team 3329 were identified as educational assets in Camden Spaceport's Community Assessment Report. Here's to a new era of space exploration! The Camden WildBots were once again invited to the Camden Roundtable. After a delicious lunch at Missy's Kitchen and a rousing introduction by Roundtable member and WildBot mentor Tom Woodbridge, the team fielded questions from the attentive crowd. 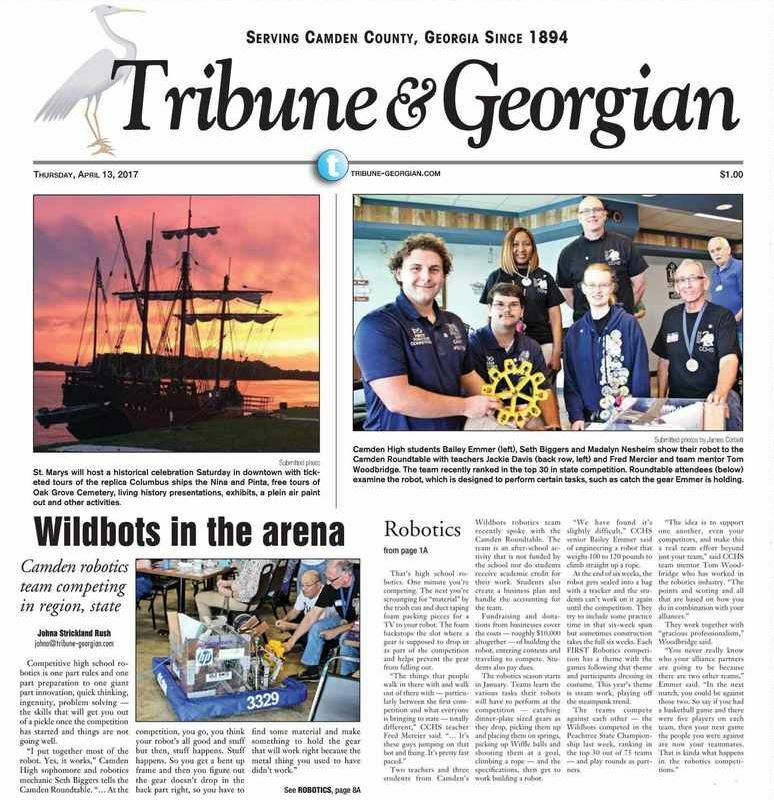 The Tribune and Georgian gave the Wildbots front page coverage of the event! The Camden WildBots were highlighted in the May 2017 Newsletter of the Camden County Joint Development Authority. The JDA sends the newsletter to prospective employers. Click on the logo to the left and scroll through to see the newsletter!